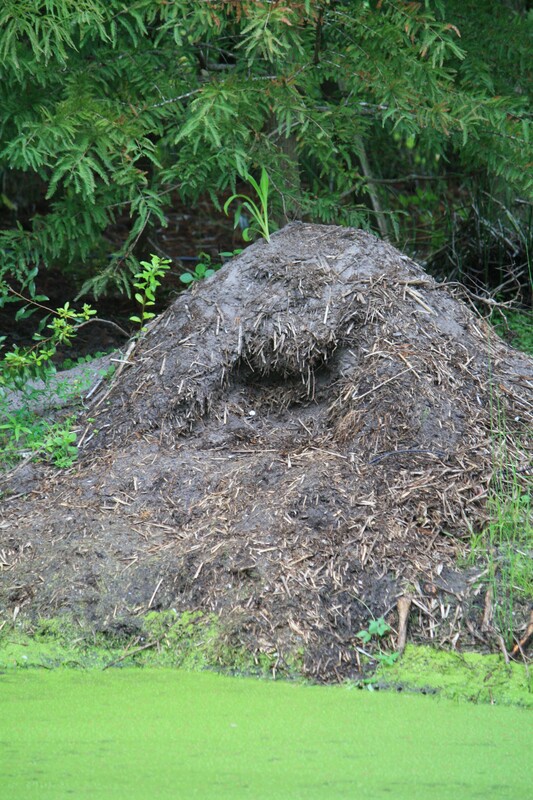 Twenty million years as a resident of planet Earth, and counting…. Scientists believe that the American alligator resembles animals that inhabited our planet as long as 100-150 million years ago — and that they may be linked to creatures dating 50-65 million years ago, managing to avoid the extinction that killed off their prehistoric contemporaries, the dinosaurs. A member of the crocodilian family, there are two alligator species living in the world today: the American alligator (Alligator mississippiensis) and the Chinese alligator (Alligator sinensis). 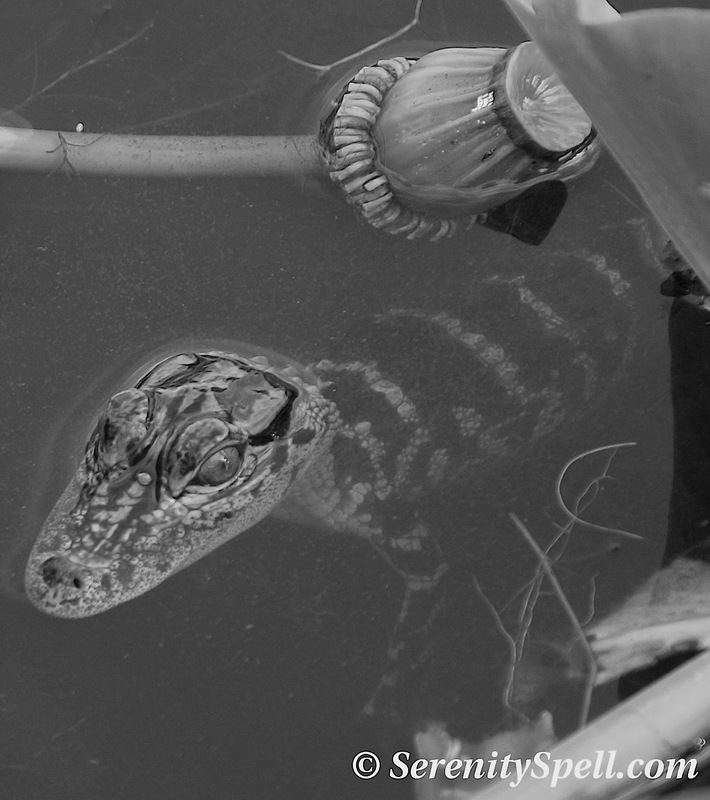 Sadly, American alligator populations suffered tremendously throughout the 20th century, when they were hunted to near-extinction for their hides. Since the Endangered Species Act of 1973 however, these amazing creatures’ populations continue to grow, and illegal poaching is not the issue that it once was. Before this hunting was controlled, an estimated 10 million alligators were killed for their skins. Twenty million years on planet Earth, and we nearly managed to wipe them out for handbags. 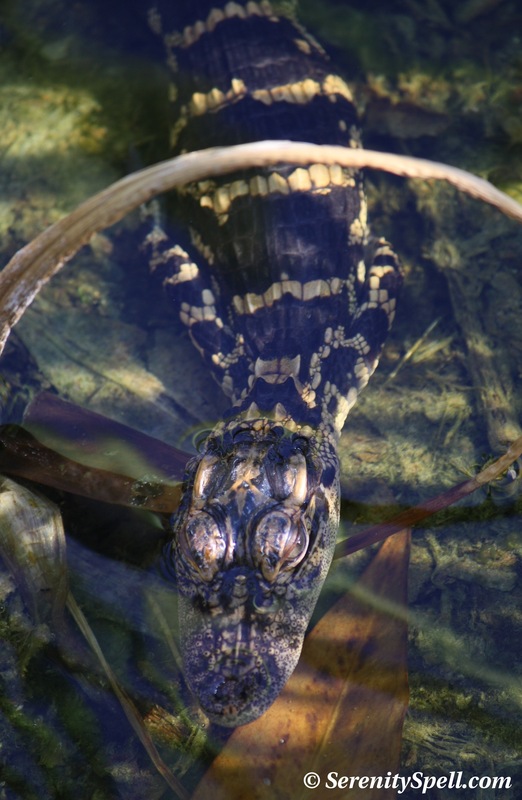 Hatchlings are 6-8 inches long, and are near-replicas of their parents, save for a series of yellow and black stripes which camouflage beautifully with the surrounding marsh roots. For five months, they’ll remain with the mother before finding their own ways. 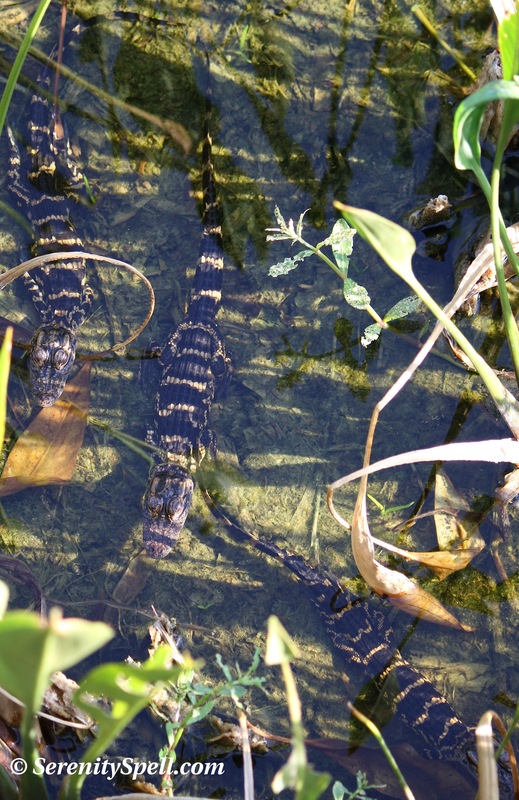 We typically see 5-10 baby alligators survive in our local protected wetlands. Perhaps less. 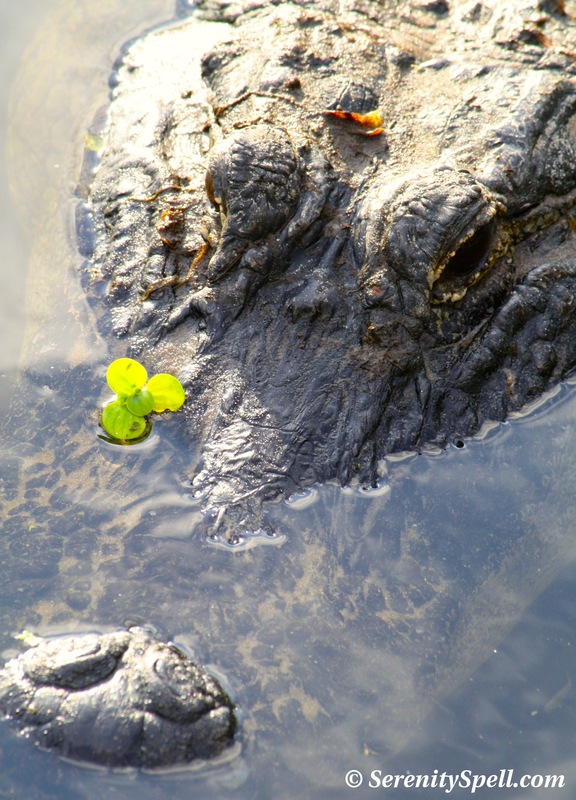 Common predators that prey upon the juvenile alligators include snapping turtles, snakes, raccoons, bobcats, raptors, and even larger alligators. But when we find them? Oh my; the adorableness level is ridiculously high. 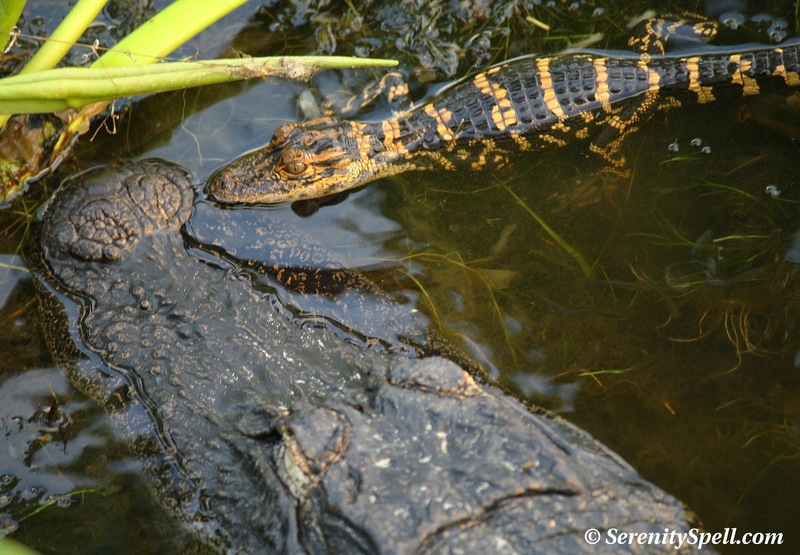 During a recent trip, I was lucky to have witnessed a mating pair of alligators — while I believe the actual mating had already occurred (as evidenced by the babies on the nearby bank), their affinity for each other was obvious…. 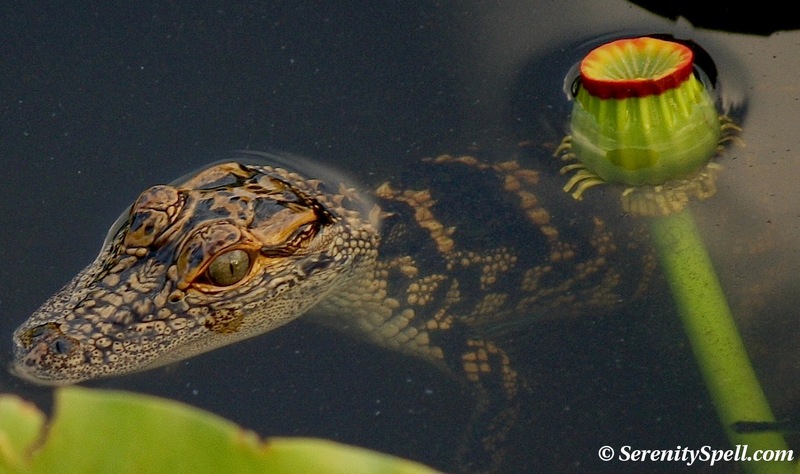 Alligator Love: A Courtship offers opportune images of the event. ahhh….they’re cute! Thanks for sharing. You’re so welcome! Aren’t they adorable?? How close to them were you to get the pictures? Or, was it a zoom lens and steady tripod 🙂 ? Are the parents protective and thus dangerous for being close to? Oh, love the pictures! Great job! Yes, Crocodiles are pretty interesting creatures indeed. Last year when my sister and I were in Cuba we visited a crocodile farm which was trying to save the crocodile from extinction by giving them a place to start their life in safety and then later returning to the wild. It was a special program which was started in Cuba. Maybe in other parts of the workd there are similar programs. Mankind is after all learning to appreciate the other species put upon this earth. Mankind – maybe too slowly – is trying to understand how Mother Nature works and is trying to educate all who will listen. Attitudes are changing and this will in the long term be good foor all of us. After all just because someone looks and sounds different from us doesn’t mean that they really are. We all need care, kindness and love with huge doses of respect, a sense of responsibility and compassion to say nothing og empathy. Thank you for your crocodile information and insights. Ah, how wonderful!! It’s great to hear of Cuba’s rehabilitation/wildlife care program for these animals… That’s just fantastic. And I thoroughly agree with you. We’re all here together, sharing the same space — some of us, a wee bit longer (as in, the gators, hahaha!). A tiny bit of empathy for other living creatures goes a looooong way in furthering their plight, in the face of habitat loss and other factors. Thanks so very much for your thoughtful words! 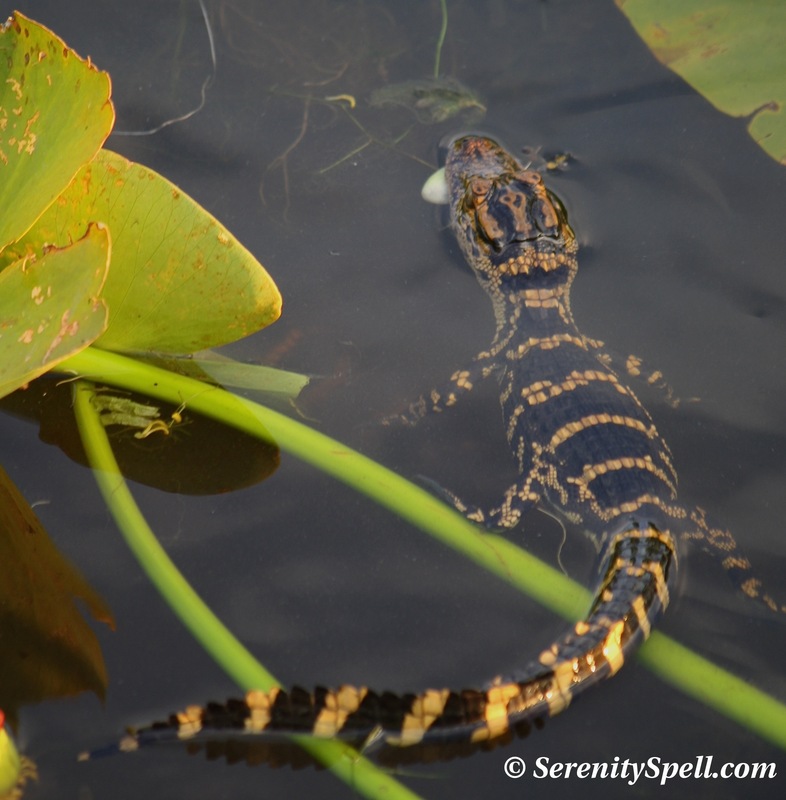 Babies, especially the gator babies, are always wonderful! The gator mamas are so incredibly protective. It’s just beautiful.